This year, Black Friday falls on Friday 24th November. 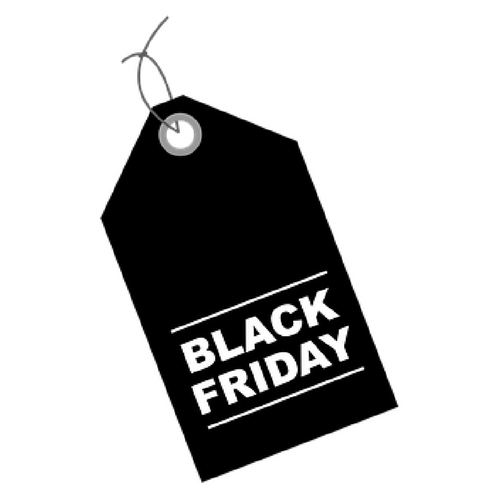 Black Friday is an American tradition that has become increasingly popular here in the UK over the last few years. Black Friday always comes after Thanksgiving and signals the start of the big Christmas shopping season. So I thought I’d provide a few hints and tips about getting the most out of Black Friday. 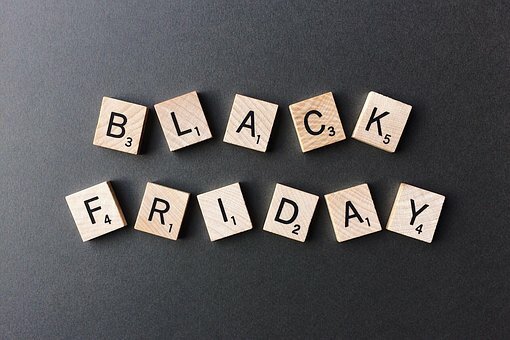 Black Friday began in America in the 1950s and it was Amazon who brought the tradition over to the UK with their Black Friday discounts in 2010. Since then, the tradition has grown massively with a huge number of stores offering massive discounts in their Black Friday sales. When will the Black Friday sales begin? Although Black Friday itself falls on Friday 24th November, many big name stores will actually launch their sales well in advance of this. Amazon have announced that they will launch some of their Black Friday deals a whole seven days before the big day, starting from Friday 17th November. 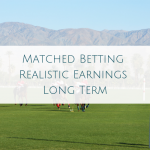 It’s likely that others will announce similar early kick-offs too. Until the sales actually begin, it’s difficult to know exactly which items retailers will discount and how much they’ll knock off. We can get an idea though from previous years. For Amazon, it’s likely to be their own products where the big discounts lie. Items such as the Echo Dot, Amazon Fire Tablets and Kindle E-Readers are likely to be included. Argos often have deals on technology, as well as toys and homeware. John Lewis are always popular on Black Friday and usually announce some huge discounts on electricals. Debenhams usually come up trumps with discounts on fashion items. Currys are likely to offer deals on big name brands such as Nespresso, Dyson, HP, Bosch, Samsung, Sony, Beats and LG. Their sales will launch at 6am on Black Friday. Supermarkets including Tesco, Asda and Morrisons will launch sales on a variety of items including electricals. In previous years, we’ve seen scenes of absolute chaos in stores with people fighting over bagging the best deals. For me, fighting my way through the crowds is my worst nightmare. If you’re like me, then taking advantage of the online sales is definitely the way forward. 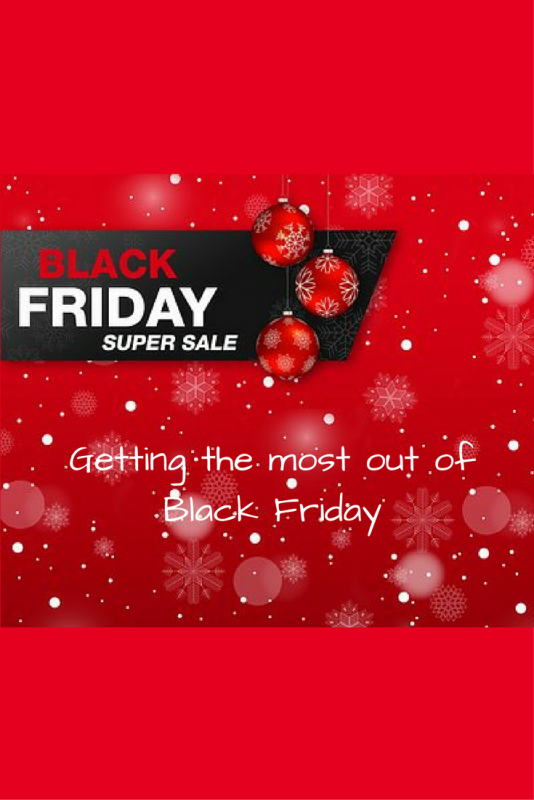 Set a Black Friday budget and stick to it! Consider what you’re buying and try not to impulse buy. Just because an item is on sale doesn’t mean you should buy it. Would you buy the item anyway? Will it just get shoved on the worktop never to be used again? Do you actually NEED it? Don’t waste money just for the sake of it. If there’s something you’re planning on buying anyway in the next month or so, then it’s definitely worth hanging on for the Black Friday sales before making your purchase. It can also be a good time to get great deals on things you’d be buying anyway for Christmas presents. Make sure you know your rights. Most stores will still honour your right to return products, however be sure this is the case before you buy. The Monday after Black Friday heralds Cyber Monday. This is when you’ll find deals online with many of the big retailers. It’s becoming more of an extension of Black Friday than an event in it’s own right, but it can still offer great deals. Cyber Monday deals usually offer discounts on technology and electrical products. Again, stay smart and shop smart. Think about your spending and consider your purchases carefully. Great tips, it’s important to still realise that just because something is on sale, it’s not a bargain if you don’t need it! Some great tips here, I’m on the lookout for a new laptop this year so will definitely be keeping an eye out for deals. Thanks for the tips, will be looking for the bargains this year!! I think the only thing I’ve ever bought on Black Friday deals is gin from Amazon. I guess its a really good time to pick up Christmas presents though! Great post. I don’t know much about Black Friday – so this is really useful. Thanks for sharing. I’ve never got involved in Black Friday but this year we do actually want a particular item so thanks for your advice. The scenes of Black Friday shopping made me never want to leave the house again. People be crazy. Online is the only way! We usually pick some things up with Amazon, and got a steal on a laptop for my son last year at (I think) Curry’s. Being good about impulse buying is my number one rule for sales! I always try to only buy the things I already really wanted.